Pune, India - April 16, 2018 /MarketersMedia/ — “Global Healthcare Supply Chain Management Market by Manufacturers, Countries, Type and Application, Forecast to 2023 Report “Provides In-Depth Analysis of Parent Market Trends, Macro-Economic Indicators and Governing Factors Along With Market Attractiveness as Per Segments. MarketResearchFuture.com adds “Healthcare Supply Chain Management Market - 2018 Global Analysis, Growth, Trends and Opportunities Research Report forecasting to 2023” reports to its database. Browse Complete Premium Report Enabled with Respective Tables and Figures is Available: https://www.marketresearchfuture.com/reports/healthcare-supply-chain-management-marke-5716 . 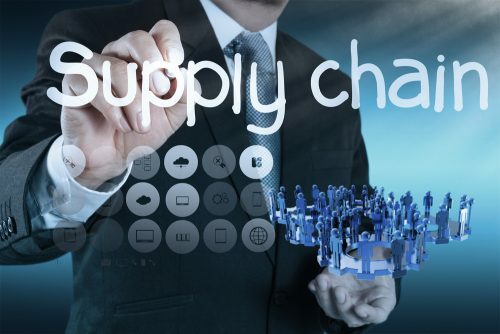 Supply chain management is a ubiquitous operation involving the planning, execution, control, and monitoring of flow of inputs and outputs in any business process. The market for global healthcare supply chain management is projected to grow at a momentous CAGR of 40.2 % justifying its ubiquitous role in business during the review period of 2017 to 2023. There has been a seismic shift in the global business environment such as increasing competition, high operational expenditure, growing fragmentation of the healthcare industry, shortening product lifecycles, crumbling of trade barriers, supply risks such as political and regional uncertainty, and other, creating antecedents for adoption of healthcare supply chain management. The changing external business environment is compounded by transformation of the internal business environment which includes but is not limited to growing organizational size, growing complexity of business, outsourcing, multiple vendor management and others. Thus it has become imperative to pay attention to what was seen as a secondary activity. Business can no longer afford to lose on the crucial parameter of economics of scale and scope generated by optimizing its resources. The advancements in analytics, machine learning and advent of social media, and Big Data coupled with growing capabilities of technology creates a situation of winner takes all! Thus early adopters of supply chain management solutions will have a critical advantage over those who fail to understand its central position in the healthcare business. Leading players profiled in the report are SAP, McKesson, TECSYS, JDA Software, Healthcare Logistics, GHX, VUEMED, Omnicell, OnProcess Technology, Parts Source, Spend Vu, Sterling Oracle, Vizient, Inc., Manhattan Associates, and others. You can get access to sample report here: https://www.marketresearchfuture.com/sample_request/5716 . December 2017 – CVS to acquire Aetna for a momentous USD 69 billion which is expected to create a global behemoth. November, 2017 – JAGGAER, to acquire BravoSolution making JAGGAER the largest vertically focused spend management Solutions Company. The rise of ecommerce, development of global supply chains and advent of social media and connected patient communities is expected to trigger greater frequency and intensity of Bullwhip effect result in stockpiling of products and shorter product lifecycles impacting production, planning and distribution. Advent of Data, analytics and machine learning coupled with tracking technology such as radio frequency identity tags (RFID) is expected to transform the industry. The need for business reorganization, lack of awareness, issues of integration of different organizational units and segments of business, concerns about data security owing to greater flow of information, and high cost of installation and maintenance, are the prime constraints on the market. To generate a comprehensive understanding of the global healthcare supply chain management market the report is dissected by models, functions, delivery mode, software, technology, end users and regions. Models - make-to-stock model, build-to-order, continuous replenishment model, chain assembly and others. Functions - forecasting and planning, inventory management and procurement, internal logistics and operations, warehousing and distribution, reverse and extended logistics and others. Delivery mode - on-premise and web based. Software - planning tools (forecasting and inventory management, supplier and vendor management, production and sales planning, others) and execution tools (warehouse management, order processing and status tracking, others). Technology - barcode, radio frequency identification (RFID), global positioning system (GPS), internet of things and big data, others. End users - pharmaceutical and biotech companies, logistics companies and distributors, healthcare providers and others. Regions, the market has been segmented as North America, Europe, Asia Pacific Middle East and Africa and rest of the world. Any query or specific requirement? Ask to our industry expert, please click: https://www.marketresearchfuture.com/enquiry/5716 . North America accounts for the largest share of the market owing to large demand, faster adoption of technology, large purchasing power, presence of global players and concerns over cost of healthcare delivery. Europe is anticipated to secure the second largest market led by Germany, U.K. and France. The creation of the common economic market is expected to result in greater adoption of the healthcare supply chain management due to cross border flow of goods. However the shift of the global trade pattern and volume to the Asia Pacific region coupled with the development of global supply chains is expected to shift the market towards the nations of China, Japan and India. The Middle East and Africa market is anticipated to be led by the Gulf nations of Saudi Arabia, Qatar, and UAE. 1) An extensive research study on the Global Healthcare Supply Chain Management market, and its entire ecosystem, describes the market trends, drivers, restraints and opportunities of the Healthcare Supply Chain Management market. Feel free to get in touch for discounts and customized details: https://www.marketresearchfuture.com/check-discount/5716 .